I am a member of the Collective Bias® Social Fabric® Community. This shop about #KoolOff has been compensated as part of a social shopper amplification for #CollectiveBias and its advertiser. This post also contains affiliate links. We are all familiar with the powdered Fruit Drinks also known as Kool-Aid. Have you seen the new Ready-To-Drink 96oz Kool-Aid bottles, perfect for enjoying on the go or crafting? 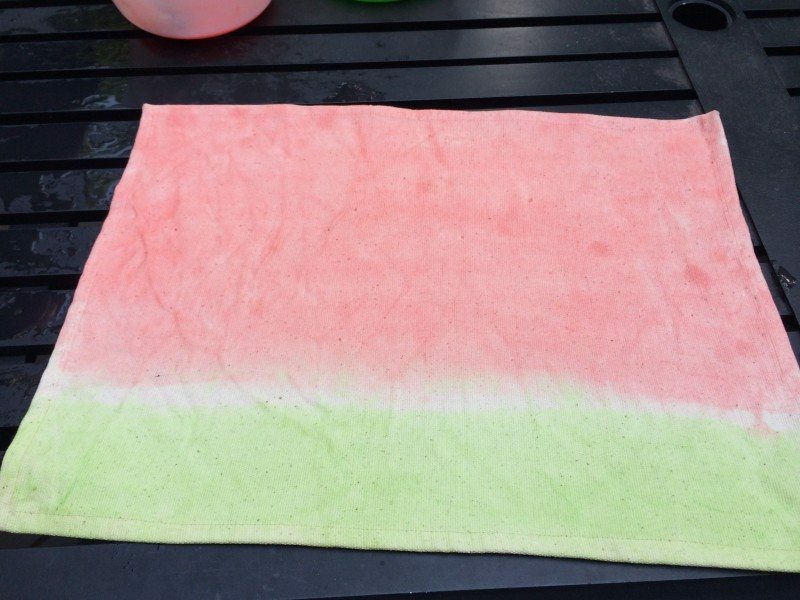 You heard me right, I am going to show you how to paint Fabric using Kool-Aid and how to make these adorable watermelon themed placemats. I was not sure what I was going to attempt to use for this crafting project. Should I use the already made Fruit Drinks or the powdered Kool-Aid Drink? 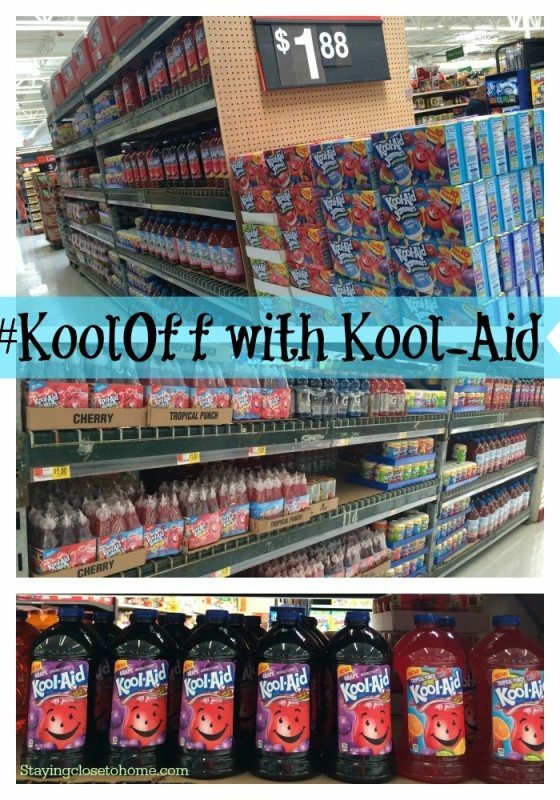 I did not realize they had so many flavors of Kool-Aid, especially in the large 96 oz bottles. I found this display of Kool-Aid in the middle of our Walmart which provided me with some inspiration for this project. 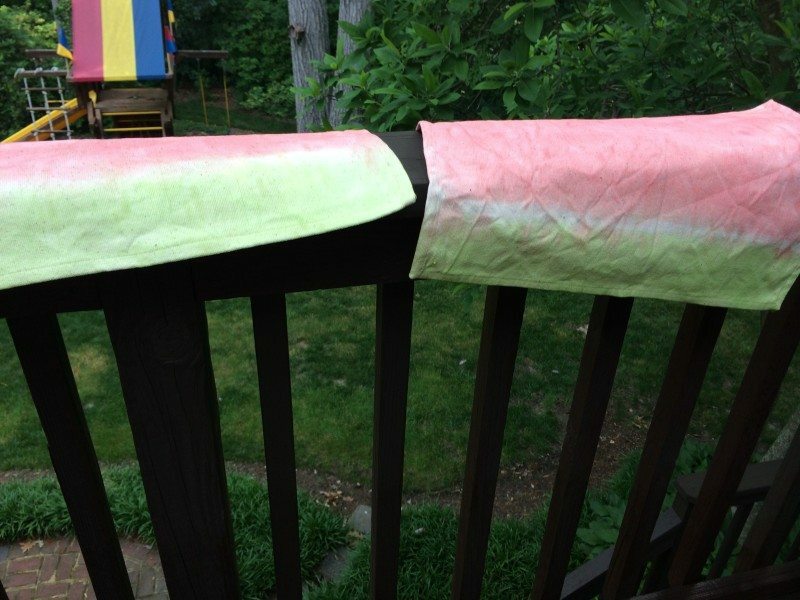 After doing a little research online, I determined it was best to Paint Fabric using the Powdered Kool-Aid packs. Since I had already decided on a watermelon theme for summer, I also bought a Bottle of Watermelon Drink, I will spruce it up for the hubs and I later. 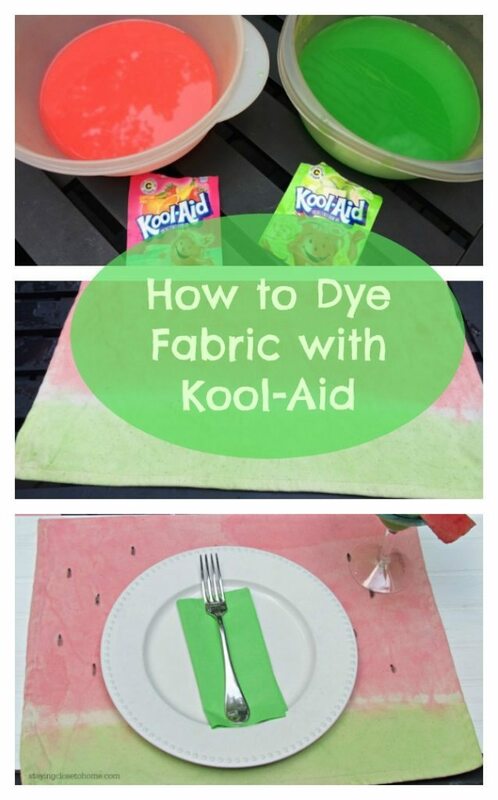 To make the Kool-Aid Fabric Paint, boil some water and place each color in a heat resistant bowl. I decided to use sponge brushes to prevent too much personal staining. I advise doing this project outdoors as well. Once you learn how to paint fabric with kool-aid your imagination can go wild. I prepared my cloth canvas placemats by rinsing them with a water and vinegar solution and allowing to drip dry. Not sure this is necessary but thought it wouldn’t hurt. 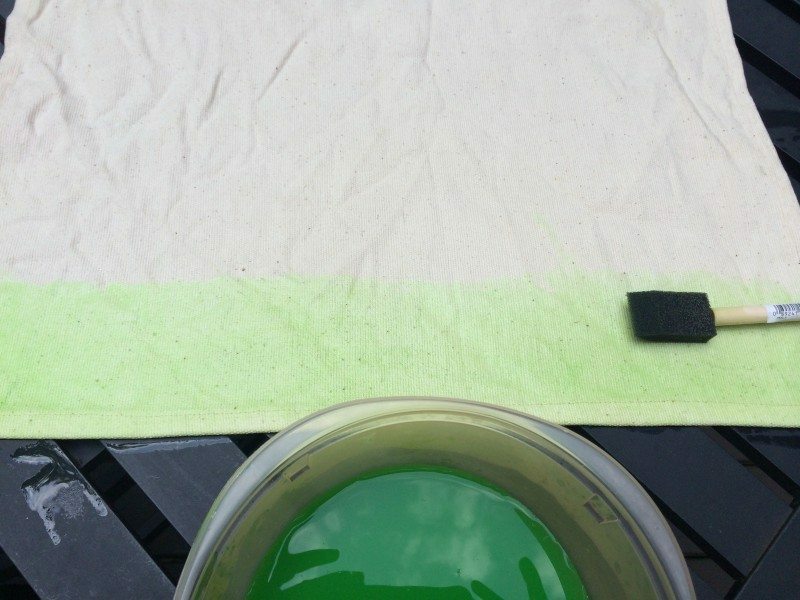 I started with the Green Apple Kool-Aid paint and brushed it across the bottom of the Placemat. Then I filled in the top with the pink or Fruit Punch Powdered Kool-Aid, trying to leave a little white in between like a real piece of watermelon. 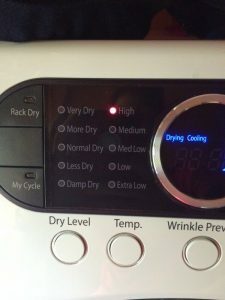 Allow it to dry a little outside, basically to prevent drips all the way to my dryer. 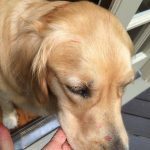 Careful of your pets, Chloe got curious about the dripping liquid and now she is the polka dot pup! I then placed the painted placemats in the dryer on High until they were fully dry. You can now do a second coat of Paint if you want darker colors and just repeat the dryer method. This is what sets the color. 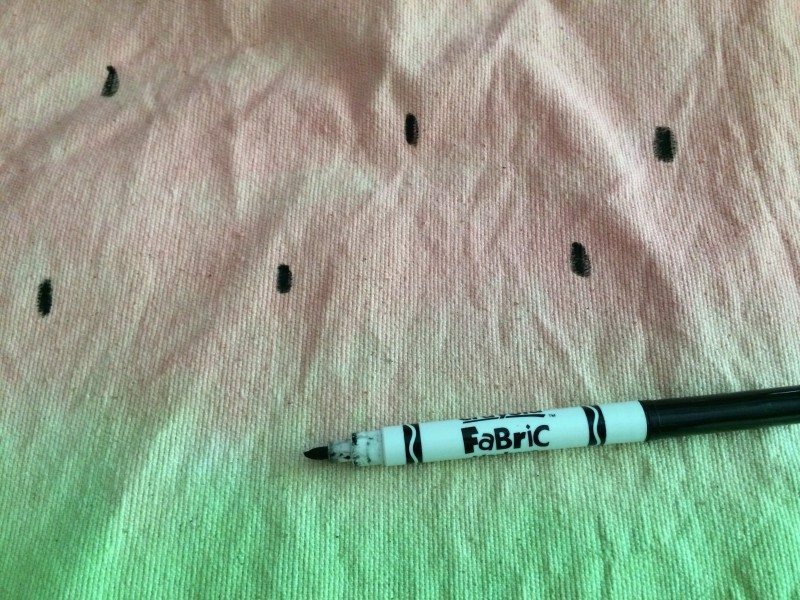 Then you can use Fabric Markers to add the seeds or other details to your fabric. And follow the directions with those markers, you may have to heat set them again. I think these will make a great Summer date night atmosphere for us. 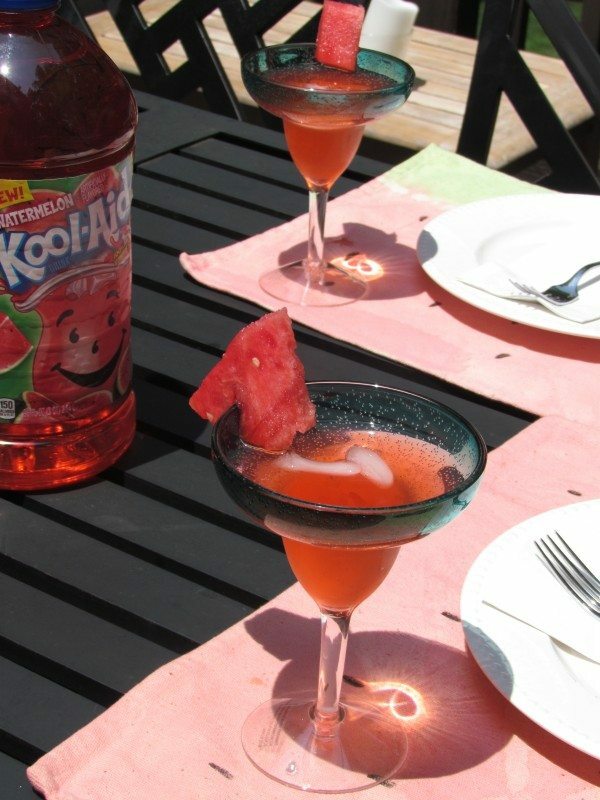 Be sure and serve the Watermelon Kool-Aid too, but you may want to add a little Parent Juice ! What will you make with the Kool-Aid Paint? That is such a neat idea. Very creative and decorative. These came out so cute. Hello from Show & Tell Saturday. This is very creative! I never thought of using kool aide like that! Those are very fin for summer…..cute:) Have a great weekend. those turned out really cute, I did not know you could use Kool Aid as dye what a neat idea! Lois, she still has red on her fur, and it has been 2 weeks. That is so cool! Love the placemats and especially love your dog! That is the most creative idea I’ve seen! I have to try this out! Very KOOL!! I love your creativity on this!! How cool is that!? I love how they turned out. I’m going to have to try this. Oh wow! 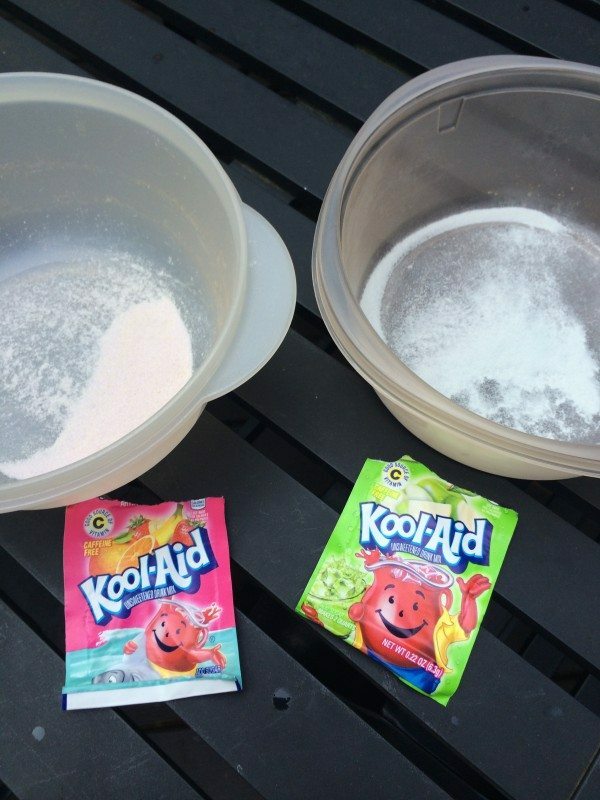 That is such a cool tutorial…who would have thought that you could do that with Kool Aid? The placemats came out lovely! OH my goodness! Your placemats came out SO cute!! 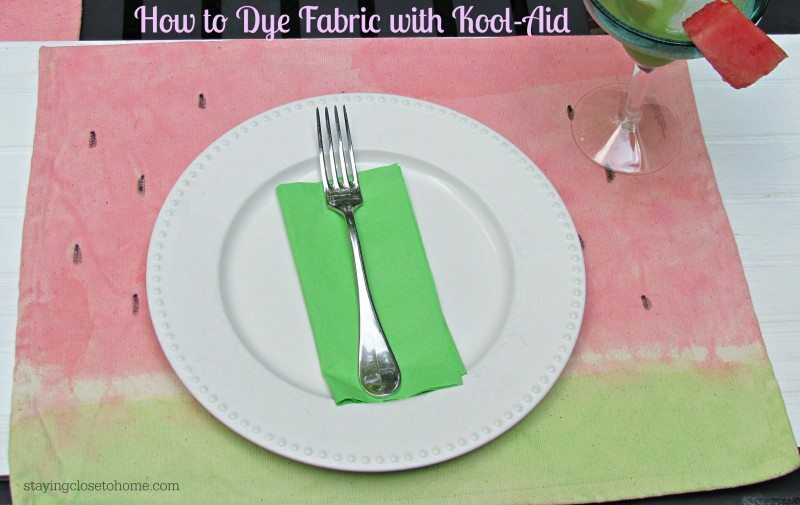 I knew you could dye hair with Kool Aid, but never thought to try using it for fabrics. Brilliant. I absolutely love how these napkins turned out! This is so creative, I love it. Wow these are so so cool! 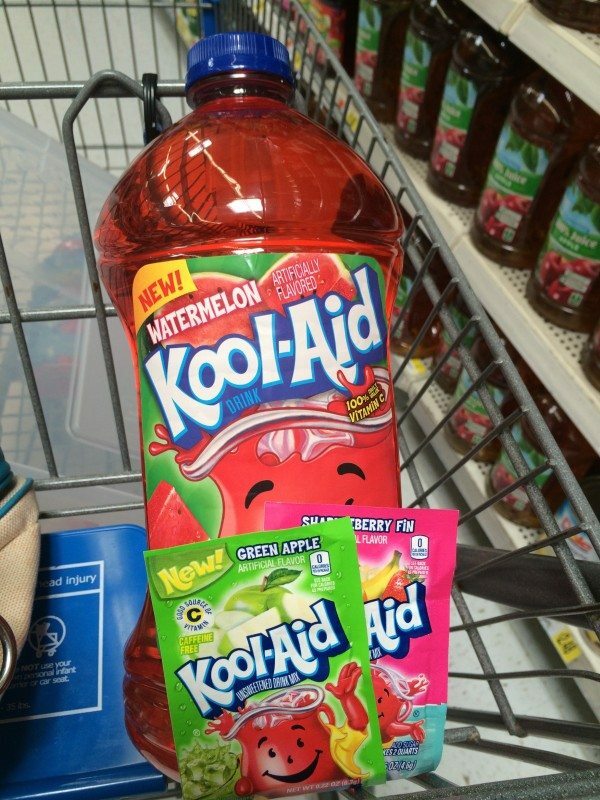 I love the watermelon print and can’t believe it’s Kool-aid! MUST try this! Oh wow! This is such a unique idea. Thanks so much for sharing. These are adorable! I love how they turned out. So cute for summer! What a fun idea. 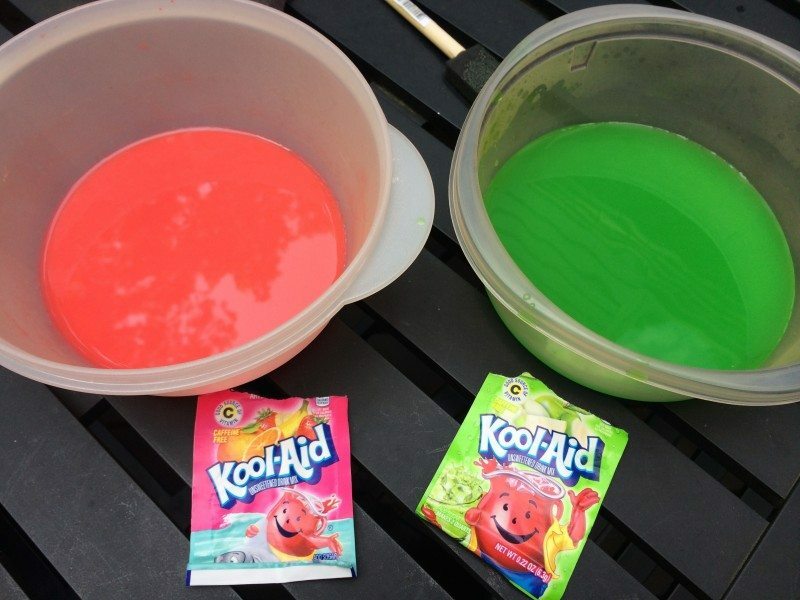 I would have never thought of making crafts with Kool-Aid. I wonder how the color will hold up in the wash.
How fun!! I love this idea. I had no idea you could do that with Koolaide! 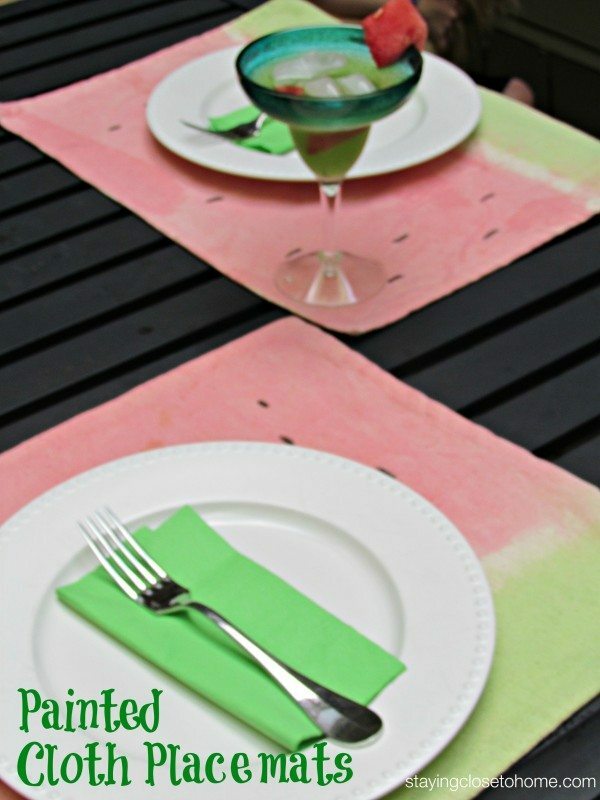 Love the watermelon design on the placemats. Let me know if you do try this, cant wait to see what others make too. I agree Grace, each packet is 20 cents where the dye is almost $3 each. Those place mats are adorable. This would be a lot cheaper than buying the tie dye stuff. Great idea! That is a cute and fun idea.. Then drink the Kool Aid! I love those placemats and I love watermelons. I need to make some. Oh wow I have never heard of this! What a cheap way to paint too. I love love love the placemats and think they came out better than using regular paint. I am definitely doing to give this a try, although I’m not sure what I will paint 1st. That is such a neat trick. I had no idea you could do that! Cute placemats! Didn’t know you can paint with Kool Aid! Oh YEAH!